Have you ever wondered how astronauts make coffee in space or if they even drink it all while they’re away? They do indeed like to enjoy a nice cup o’joe but the process of brewing a cup of coffee is a bit different in space than it is here on Earth. 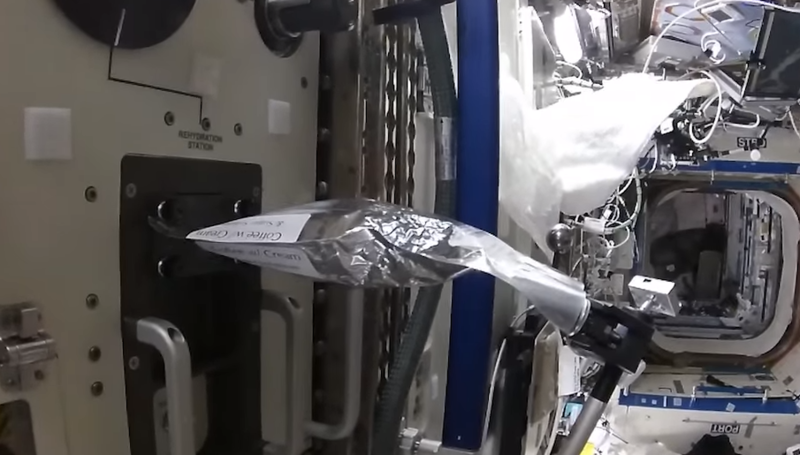 In a recent video posted to YouTube, European Space Agency astronaut Tim Peake shows the world how he makes coffee aboard the ISS, which starts with a coffee with cream vacuum pack. From there, the pack is inserted into a unique kettle and soon after hot water is injected into the pack. And just like that astronauts have coffee aboard the ISS. It may not be as luxurious as an espresso machine but I’m sure they’re not complaining when they have a hot cup of coffee before a spacewalk.